First released in June 1985, The Goonies is one of those films that was always destined to be a hit. Co-written by Chris Columbus (Home Alone, Mrs. Doubtfire) and Steven Spielberg, directed by Richard Donner after Superman but before Lethal Weapon, it had the perfect mix of kids adventure and properly traumatising scenes that make for the kind of movie that stays lodged in the collective memory of an entire generation. 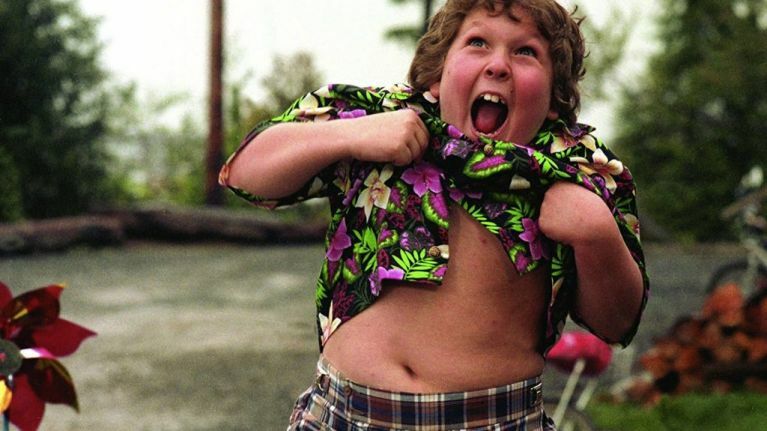 It also had an incredible young cast including the likes of Josh Brolin, Sean Astin, Corey Feldman, Jonathan Ke Quan, and Jeff Cohen as the iconic Chunk and his even-more-iconic Truffle Shuffle! Ranking alongside the likes of Back To The Future, Who Framed Roger Rabbit?, and E.T. in terms of 80's movies that need to be passed down for younger kids to watch, the great news is that a remastered, 4K version of The Goonies will be hitting cinemas for one week only, from Friday 19 April! Arklow, Cork, Dundalk, Limerick, Rathmines, Sligo, Tralee, Wexford, Antrim, Banbridge, Bangor, Craigavon, Derry, Dundonald, Kennedy, Larne, Lisburn, Newry, and Omagh. Head to the Omniplex website here to find out the timings for you local cinema and purchase your tickets online.